A close friend of mine and I have this ongoing discussion on who is the best band today. I personally have felt the title belongs to Radiohead and has held it since The Bends. He sometimes agrees with me, that is unless The National has just released a new album. They have steady held a spot my top five favorite bands since I discovered them with Boxer. But as I often reiterate to him, a distinction such as this doesn’t always qualify that they are the best. I actually find my expectations higher with each record. I scrutinize the experience with a fine toothcomb. I hope to be impressed but I refuse to be biased. 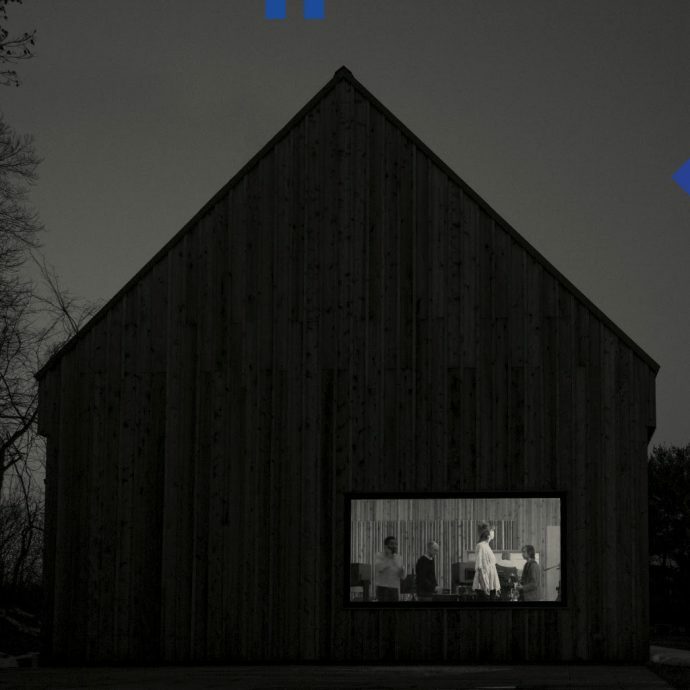 Luckily with The National’s seventh album Sleep Well Beast, I can say honestly that have recorded something gorgeous and incredibly relevant. I would describe The National as an adult’s alternative band. Matt Berninger’s lyrics, in which he often gives co-writing credits to his wife Carin Besser, are rife with anxieties, contemplations, and observations that you would find common in thirty-forty year olds. This is refreshing because it’s honest and vulnerable. Berninger’s deadpan almost monotone delivery is just as dark as the atmosphere the poetry creates. The National is known for this but with Sleep Well Beast, the political climate plays a central role and brings the satire of our reality one we only wish was an alternate one – oh if we only could “walk it back, walk it back.” And yet with the sarcasm and sheer hopelessness aside, there are bright moments when they ruminate on love. This is the light that shines in the darkness and it is an ongoing motif on all of their albums, especially with this latest release. Musically the sound is still distinctive and uniquely The National. However, they still are pushing themselves with each album to form something new within their sound. There is more electronic beats than ever on Sleep Well Beast that are reminiscent of Radiohead’s Kid A. Every song offers a new sound with layers to dissect. Some orchestrations, electric keyboards, drum programming, waltz piano, and lyrical poetry that draw on the spirit of Leonard Cohen or deep musings of Tom Waits. All separate pieces that work beautifully to create these four-five minute pieces of art and substance. That is how the band wrote the album too. All five members: the Dessner twins, the Devendorf brothers and Berninger now live in different parts of the country and outside of its borders. They all met up at Aaron Dessner’s new studio in his rebuilt 18th century barn in Hudson Valley, which also graces the cover, to bring it all together in a cohesive and full masterwork. This is most clearly demonstrated in “Walk It Back” with sentiments such as “forget it, nothing I change changes anything” and “until everything is less insane, I’m mixing weed with wine” most of the country can relate to the feeling of helplessness we have coupled with our own personal escapism of our current world. This song is driven even deeper to its point with an excerpt from Ron Suskind’s New York Times article entitled “Faith Certainty and the Presidency for George W. Bush.” It is difficult not to elude back to our former president because you can’t help but think to yourself “didn’t we swear we wouldn’t let this happen again?” Perhaps we had to in order to band together and create the country we want, the central theme in the album’s first single, “The System Only Dreams In Total Darkness”, which reminds me of a Storypeople by Brian Andreas called “Broken Down” about a machine that makes people good, kind, and true but actually works best when it’s broken because then people come together to figure out how to fix it. So yes, you probably find more so than ever “all night you’re talking to God” asking for guidance or help just to find the light again. Continuing in with scathing commentary with the most rock-driven tune on the album is “Turtleneck.” “This is so embarrassing” and “this must be the genius we been waiting years for” clearly points to the most powerful man in the world. Shedding light on the perpetual catch-22 situations the 99% find themselves in their everyday lives, getting by testing lead in the water and being weary of the tracking, calculating, and surveying devices in their cell phones. All we can really do to get by is to “dim the lights a little lower, hide your backbone shrug your shoulders”, take shelter under your turtleneck. Sadly, this is so true for most of us today. After this we hit the mid-point of the album and although there are more allusions to politics, the focus now is more on the lighter side of life, love. From “Empire Line” where “I’ve been talking about you to myself because there is nobody else” to “Carin At The Liquor Store” when we were “taken by love, I wasn’t that quick, it’s a foregone conclusion” love reigns supreme, even when it’s internal. Finishing this trilogy of tunes with “Dark Side Of The Gym” is where we plan to “keep you in love with me for a while” when “you looked right at me, and I just turned around – there was nothing I could say.” Our lovers will see us “in a different light” as we see the world lightened by “dreams of the first man and first lady singing to us from the sea.” Finally the last song, the title track, offers a bit of advice for the coming days ahead to those that feel similarly about our climate. Whether we leave to start anew or burn it all down by destroying everything in our wake so we can sleep well, we search for how to figure out “how to get us back to the place where we were when we first went out” we continue on looking for a bright light as we cope within the darkness in a new (or maybe old) America.